All national newspapers saw their circulation figures drop year-on-year in April, with The Times and Sunday Times performing best. 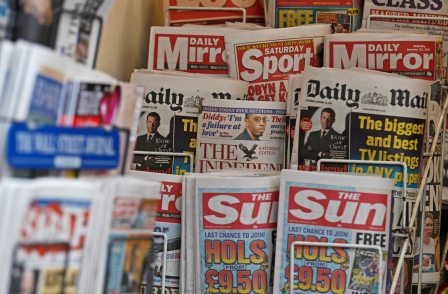 The tabloids were the worst performing in terms of year-on-year change, with the Mail titles and Daily Mirror the only ones not to record double-digit circulation losses. The Sun on Sunday (down 14 per cent on last April to 1,473,971), Sunday People (down 13 per cent to 323,608) and Daily Star Sunday (down 13 per cent to 254,238) were the worst performing. The Times and Sunday Times, performing better than their rivals, were down 1 per cent to 393,826 and 3 per cent to 808,652 respectively. In the month ahead of the election, every daily tabloid newspaper bar the Daily Mail saw its average circulation drop from March's figures (the Daily Mirror, down 1.8 per cent month-on-month was the worst performing). Meanwhile, every 'broadsheet' title except the Financial Times was up month on month (The Daily Telegraph performed best, up 1.4 per cent). 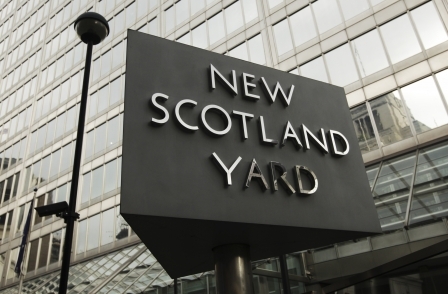 It was a similar story among the Sunday newspapers, where The Mail on Sunday (up 0.2 per cent) and Sunday Express (up 0.1 per cent) were the only tabloids to put on sales compared with March, and The Sunday Telegraph was the only 'broadsheet' (down 0.9 per cent) to lose circulation. The Sunday Times was the best newspaper in terms of month-on-month change, up 2.3 per cent.